As the title of the article states “No Time Off” is a statement Los Angeles, California’s own The Chimpz pride themselves on. Being a band from a town that demands a lot of its entertainers, The Chimpz are out to make a name for themselves through good vibe music that rocks and be able to support their families and keep themselves grounded. 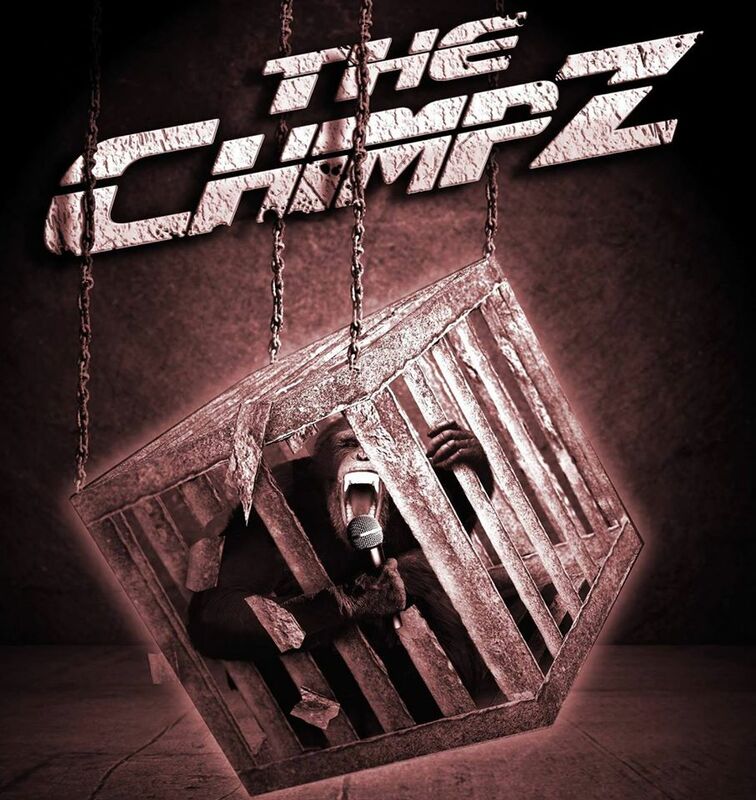 From two jamming out in a living room, to 10 years and a band lineup later , The Chimpz have certainly come a long way from those roots and gotten an amazing amount of exposure in the last few years through TV features and other facets of the entertainment industry. Sean and Chuck took some time to chat with me recently to give all the details on their musical influences, band origins and many other fascinating things. Before getting into the interview, let’s consider how intense, heavy, and fun The Chimpz music is. 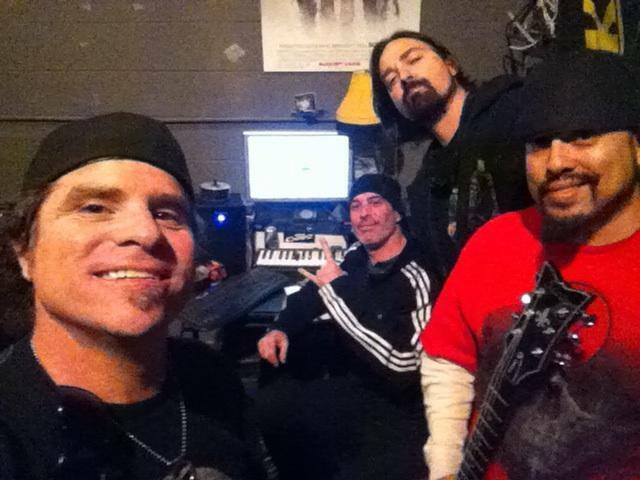 So many elements are incorporated into their sound such as Rock, Rap, Metal, and a hint of punk that creates that Cali vibe in all its glory. Sean’s comment on how he got started: “Well uh I started in music being influenced by my older brothers. I listened to cheap trick and led zeppelin and I got started on drums.” This comes from The Chimpz mastermind behind the drum kit, Sean “Capmasterfresh” Topham. Who Can I Trust was the first EP from The Chimpz and was produced by world famous producer Ryan Greene. A couple of years later the guys got back together with Ryan for their self-titled EP. They gave their thoughts: “It was actually really good. We worked with him before on the first EP and worked out the kinks from that one so for the second the second ep that we did with him. We knew what to expect from each other. That’s a great working dynamic that is not easy to come by in the music industry. Often a band works with many producers in their career span, so to work with the same producer twice or more is certainly productive to creating and pushing the quality of music to a higher level when everyone knows what they want out of each other. I’d like to focus on the above statement. Many times with the artist I have spoken with, networking with bands in various areas has been essential to helping get shows and widen the fan base. So I hear it enough it has to be true. The important thing is there are lesson here for you, me, the aspiring band, anyone who wants to make it in the entertainment business. So take notice of these comments when you hear them. They could help you open the doors needed to further your passions. The lesson at the end of this all is that hard work is never done no matter what kind of success you get. The band stated several times that it’s ok to have fun along the way. But hard work and making friends in the industry will keep you going. Those thoughts in mind, it brings us to the end of the article and our time with The Chimpz. The future is certainly bright for these guys and for all those musicians who put in the work and take no time off. I’d like to say welcome to the Contrast Control family guys and also extend a thank you to Yvonne Laughlin for helping us get together to create this article. The Chimpz have also deemed you, the readers of this site, Contrast Controllers! 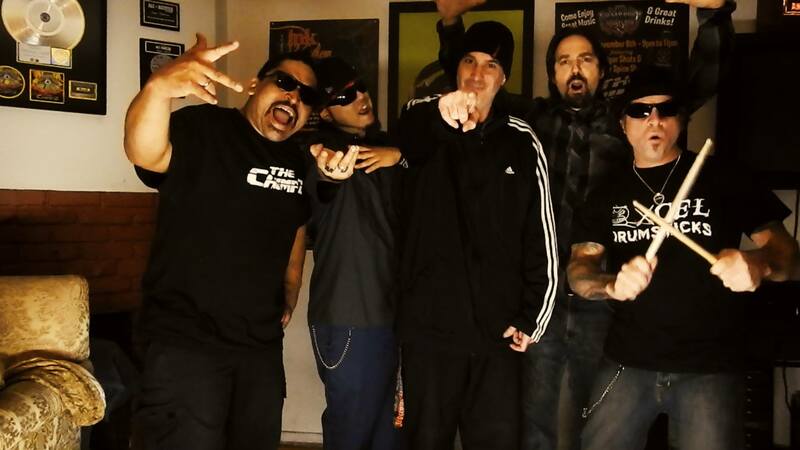 California, Contrast, Control, Feature, Interview, James, Music, The Chimpz, West. Bookmark.